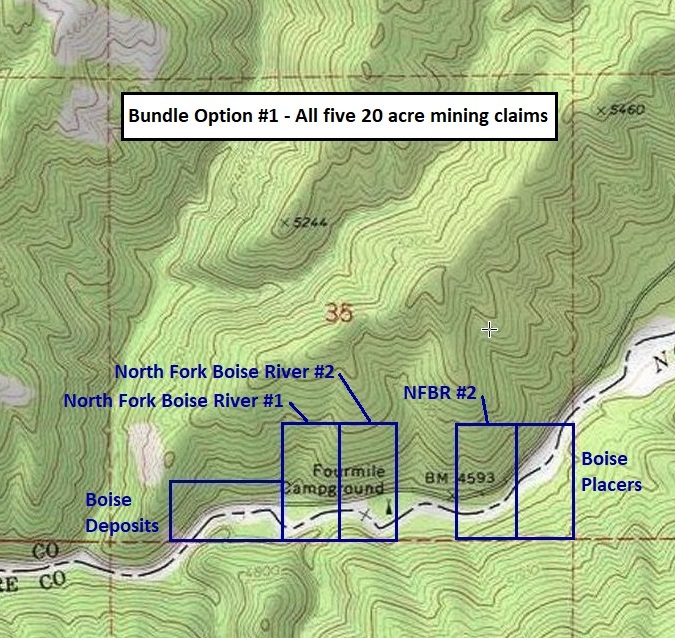 Bundle Option #1 – All five 20 acre claims – “Boise Deposits”, “North Fork Boise River #1”, “North Fork Boise River #2” & “NFBR #2” & “Boise Placers” – Bundle price for all 5 claims $9,000 (savings of $2,950). 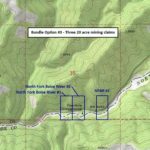 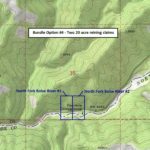 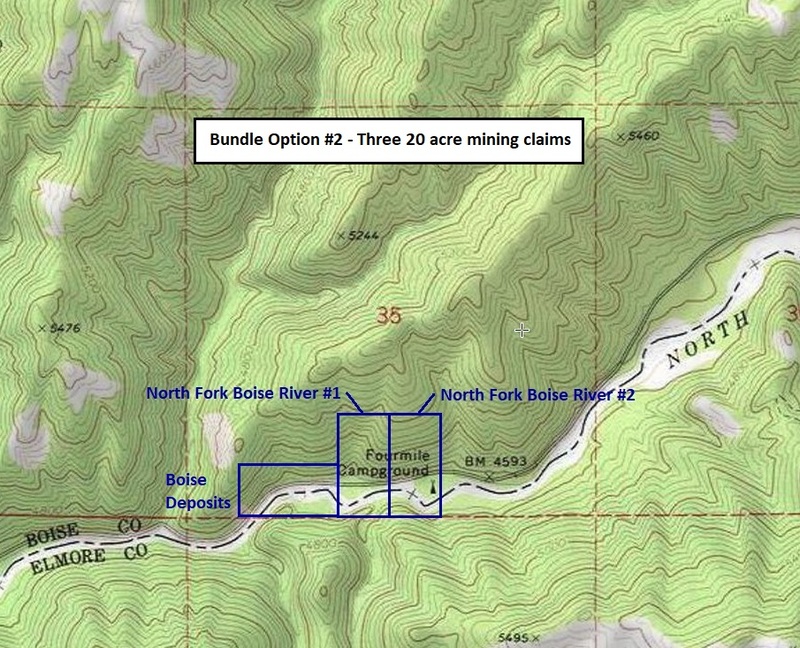 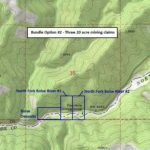 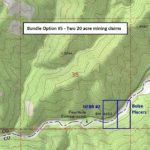 Bundle Option #2 – Three 20 acre claims west end – “Boise Deposits”, “North Fork Boise River #1” & “North Fork Boise River #2”– Bundle price for all 3 claims $6,000 (savings of $1,600). Bundle Option #3 – Three 20 acre claims center –”North Fork Boise River #1”, “North Fork Boise River #2” & “NFBR” – Bundle price for all 3 claims $6,500 (savings of $550). 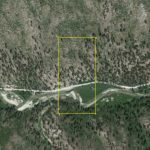 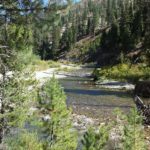 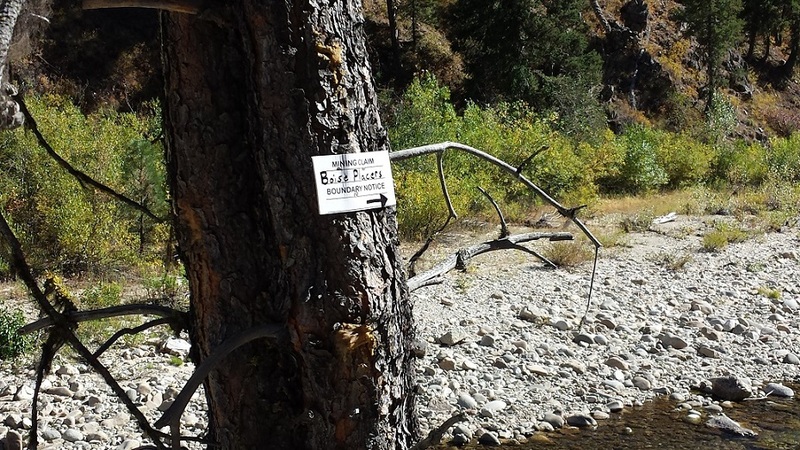 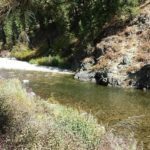 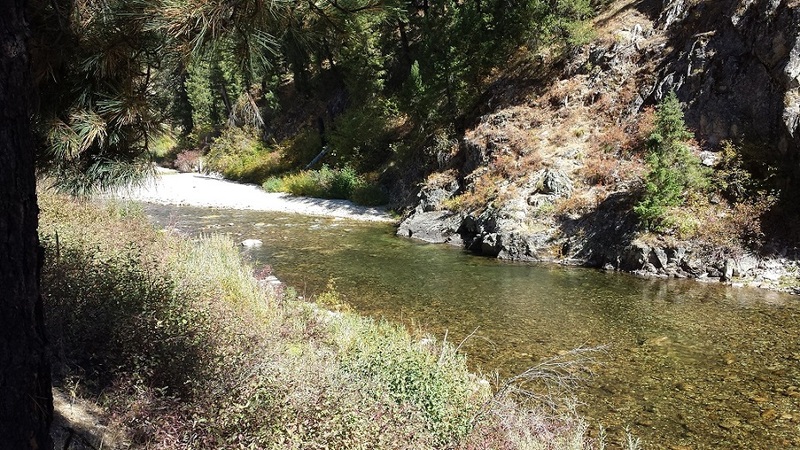 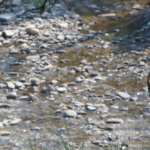 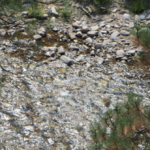 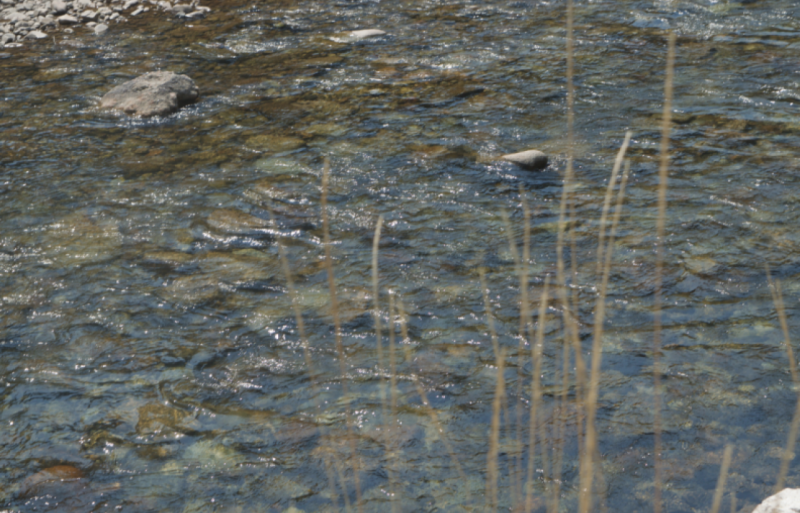 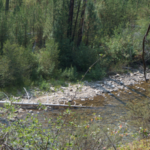 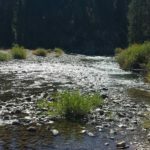 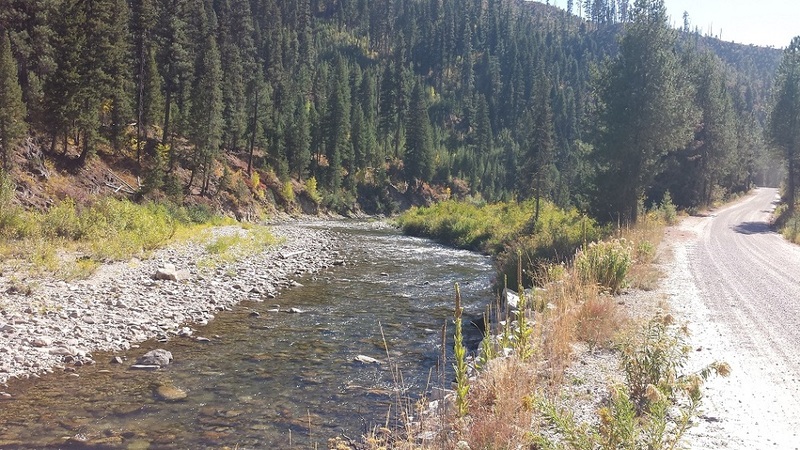 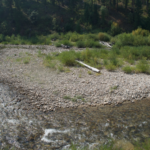 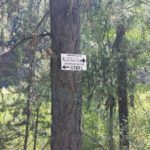 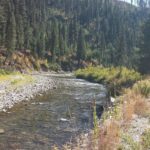 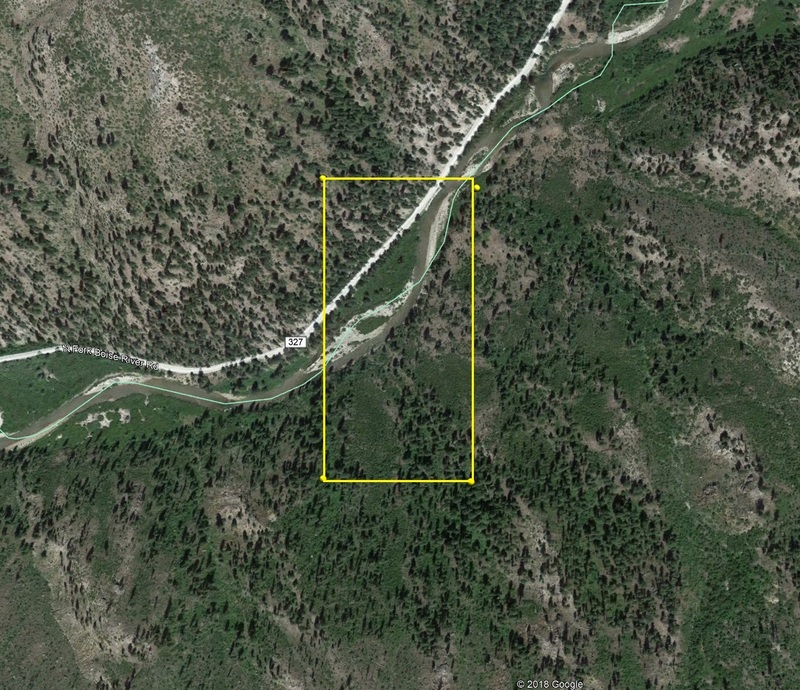 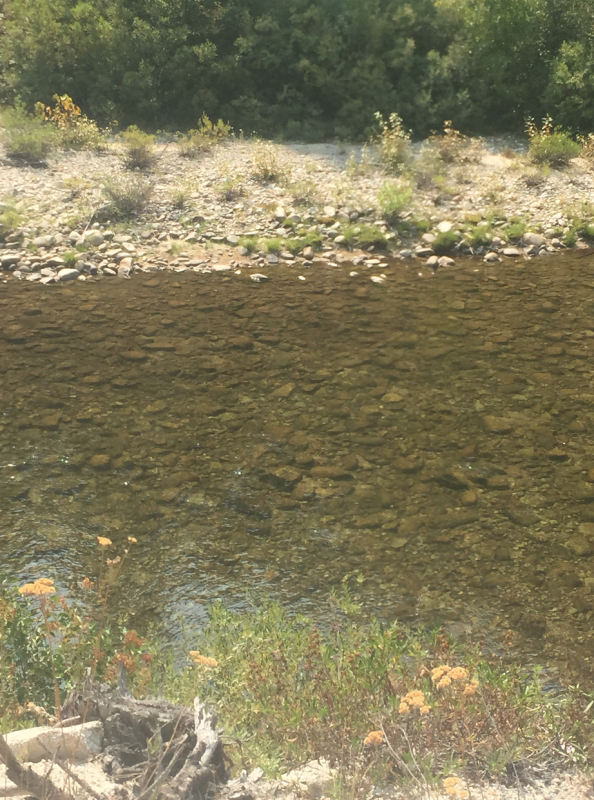 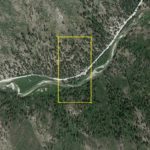 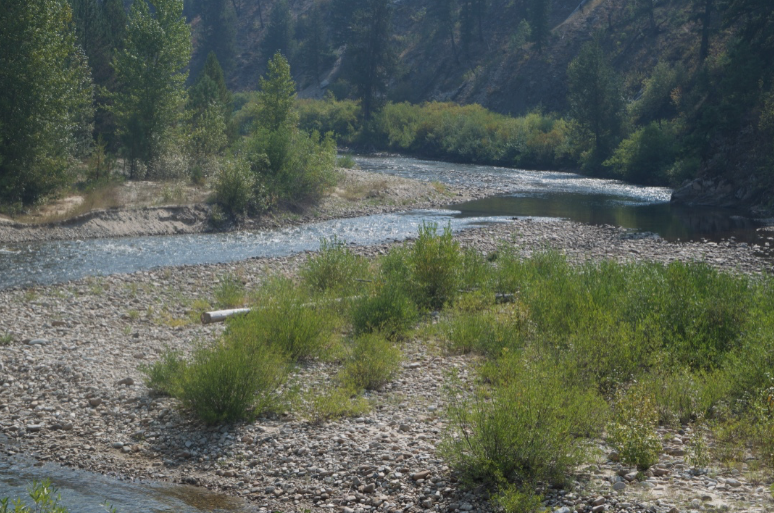 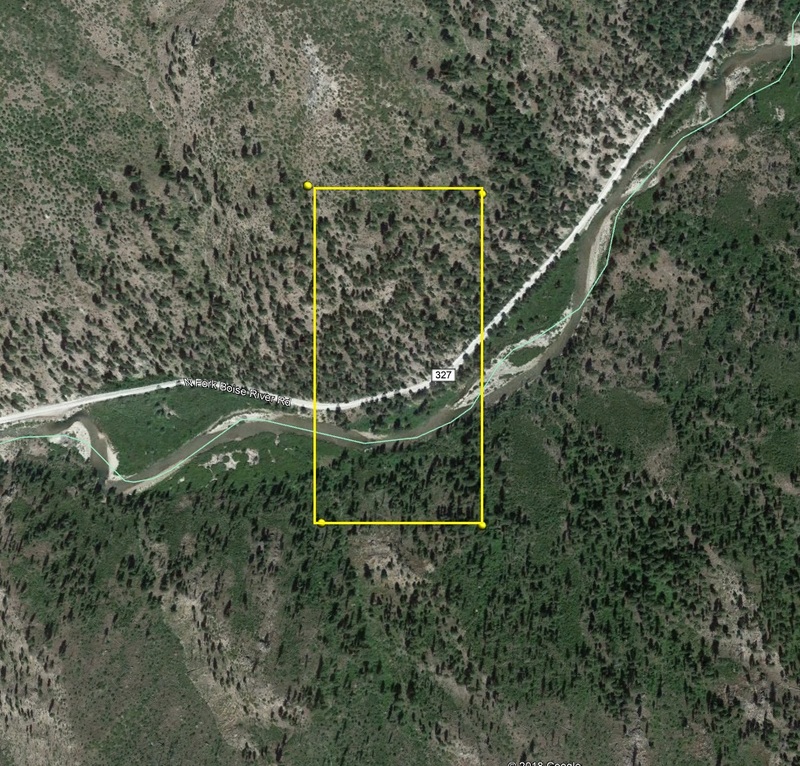 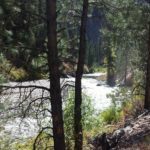 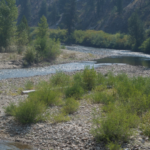 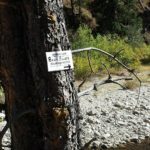 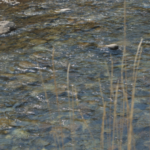 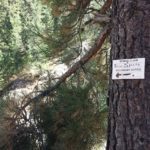 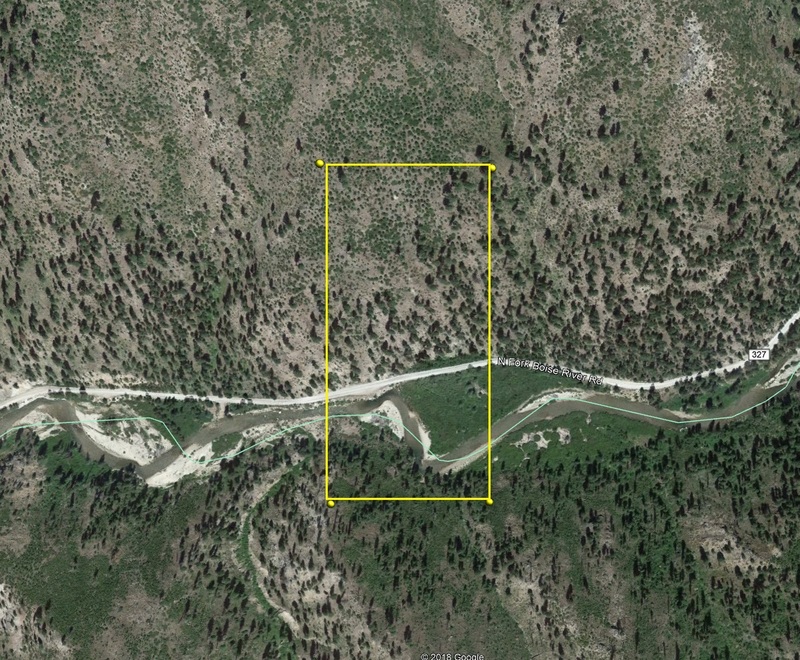 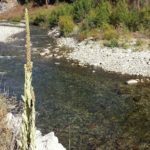 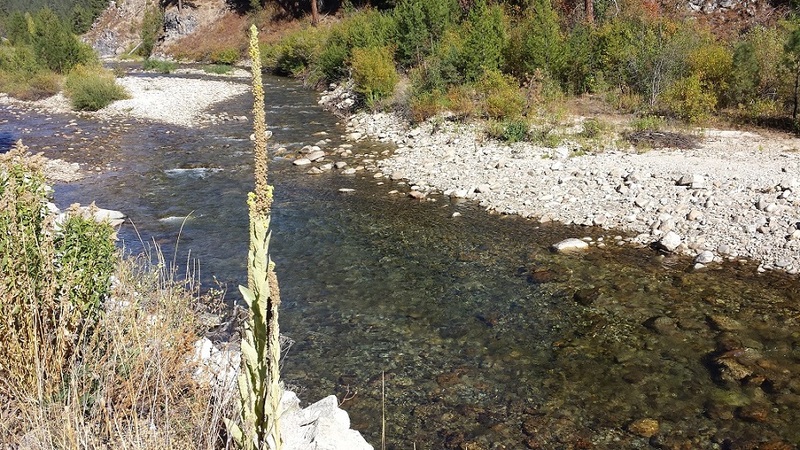 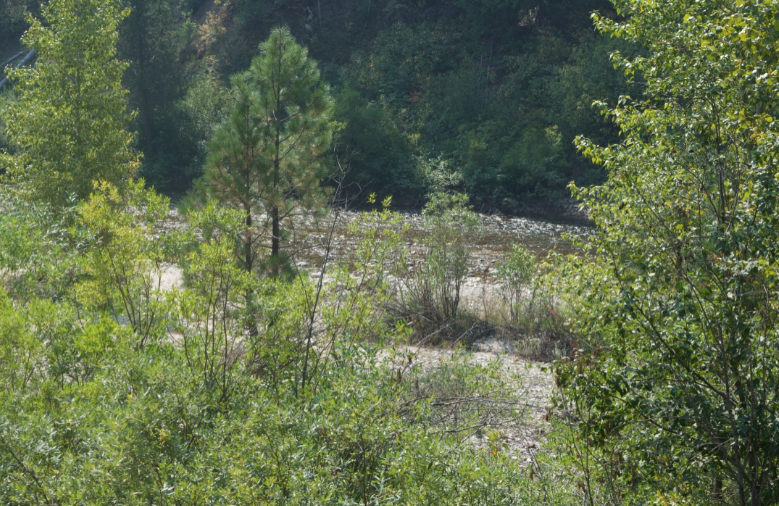 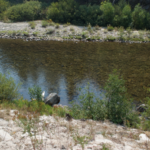 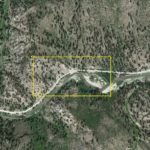 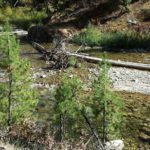 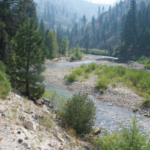 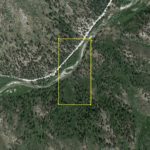 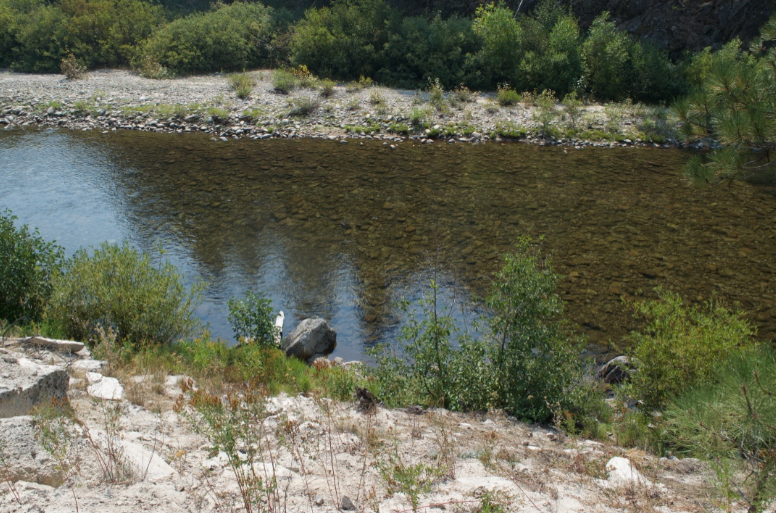 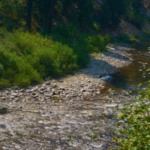 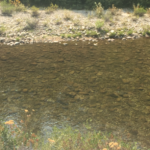 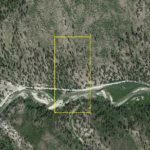 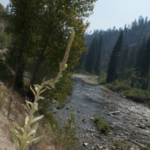 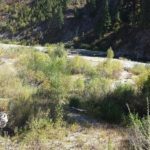 Bundle Option #4 – Two paired 20 acre claims –”North Fork Boise River #1”& “North Fork Boise River #2”– Bundle price for both claims $4,350 (savings of $400). 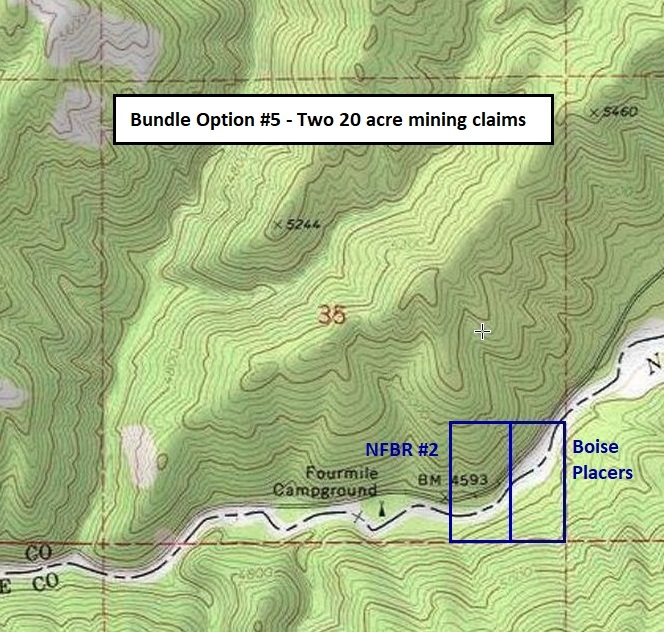 Bundle Option #5 – Two paired 20 acre claims east end –”NFBR #2” & “Boise Placers” – Bundle price for both claims $4,000 (savings of $850). 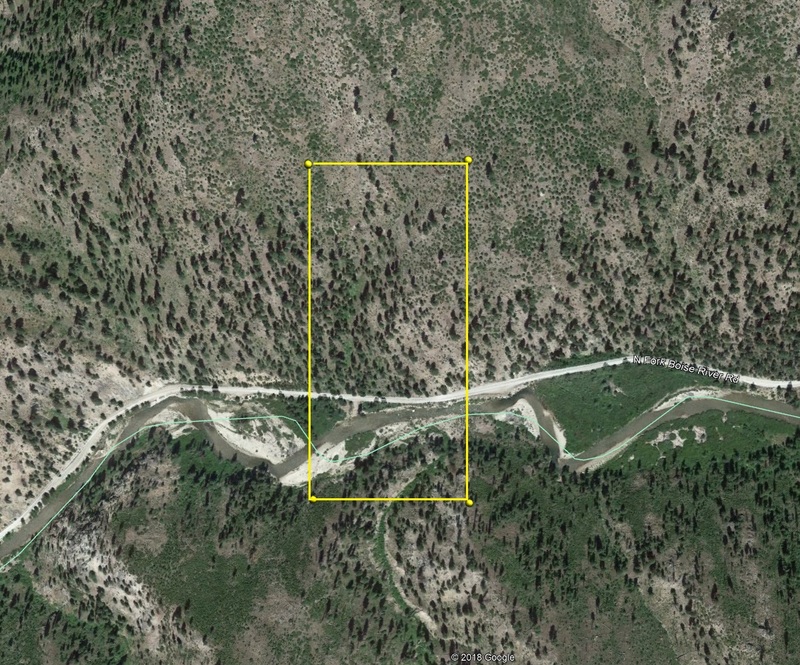 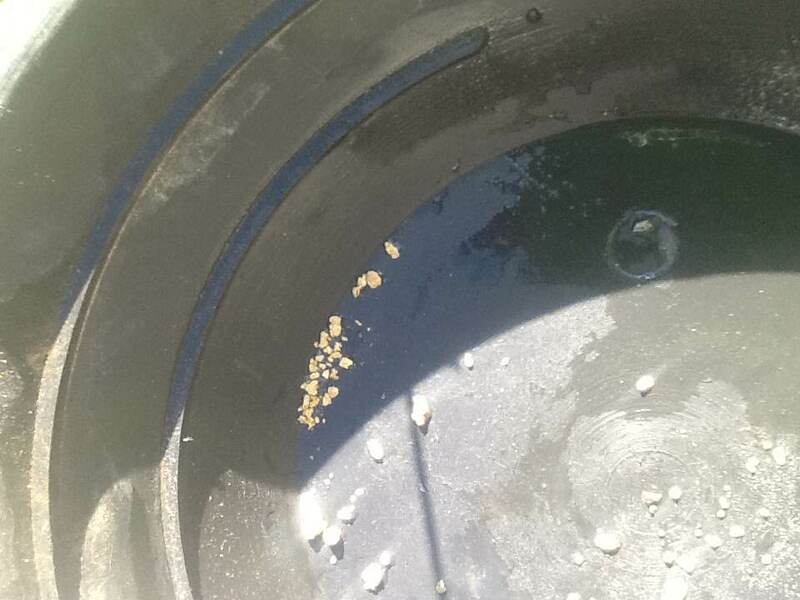 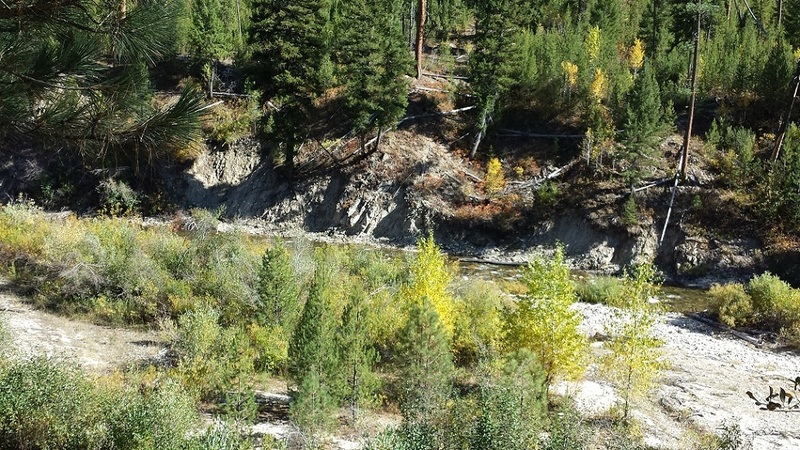 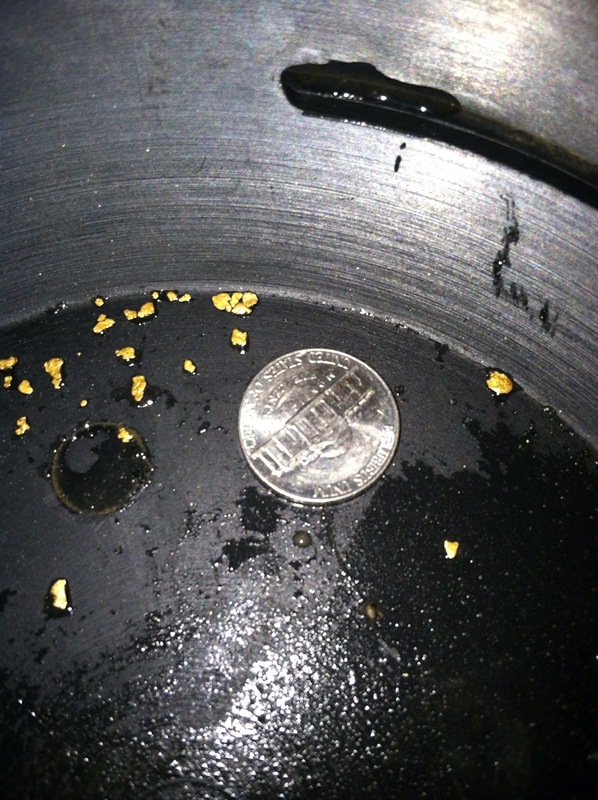 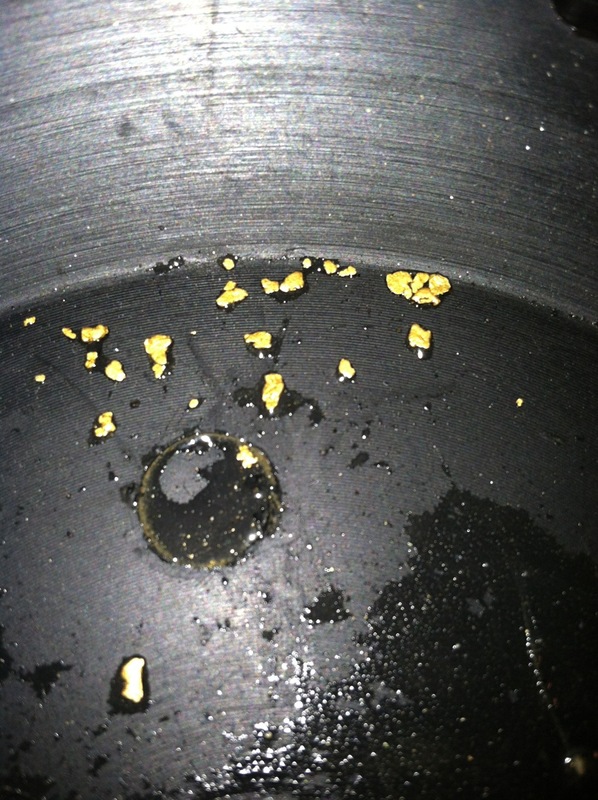 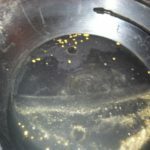 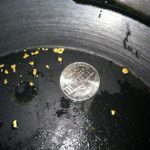 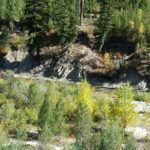 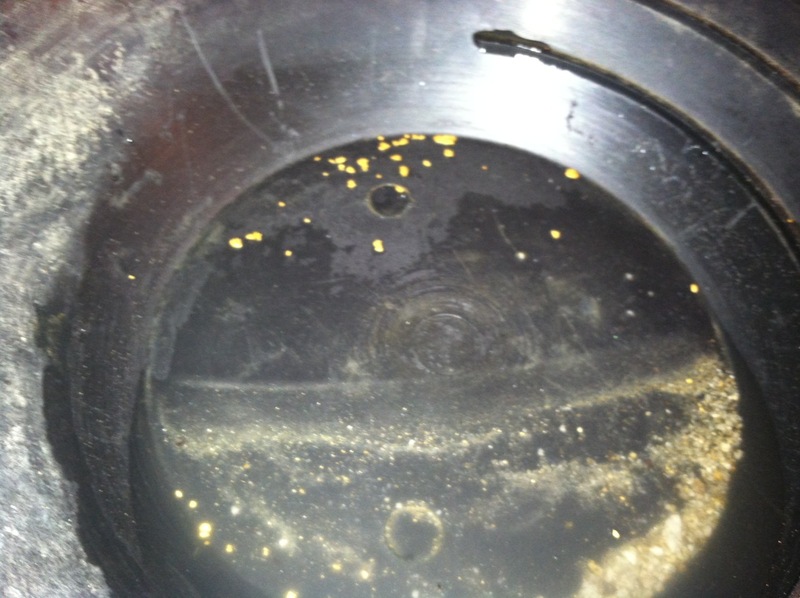 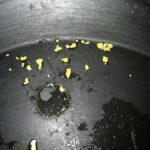 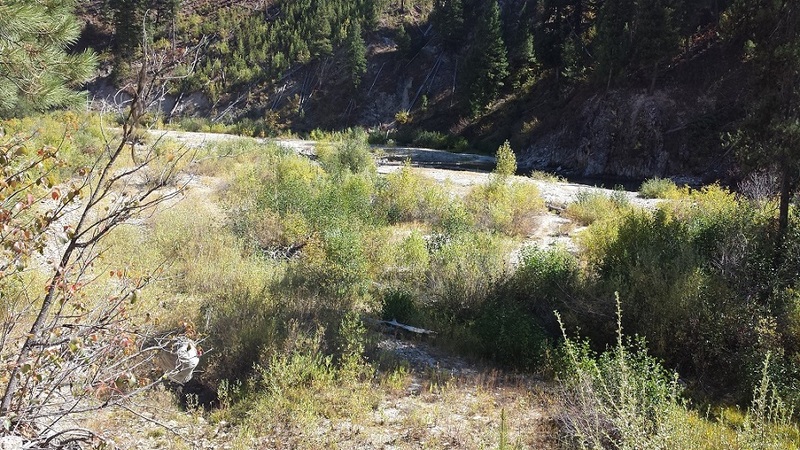 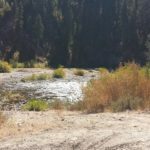 These five beautiful 20 acre unpatented mining claims have great access, on the North Fork of the Boise River. 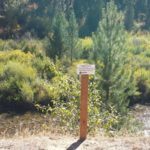 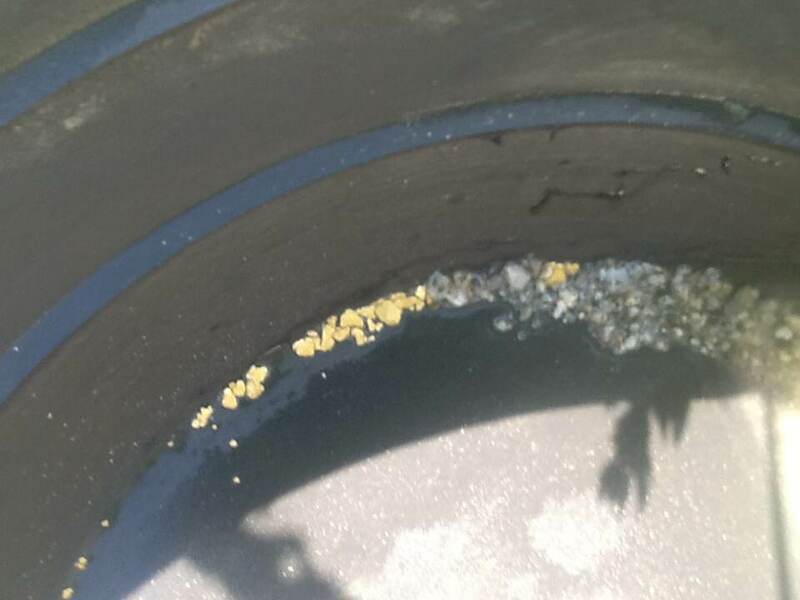 Each claim includes from 700’ up to 1350 feet of river, on a historic gold-bearing drainage on the NF Boise River, in the Boise Basin. 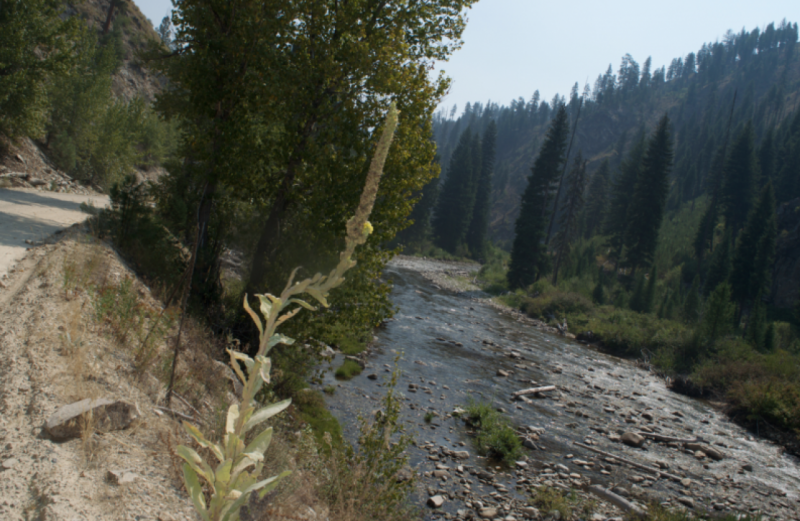 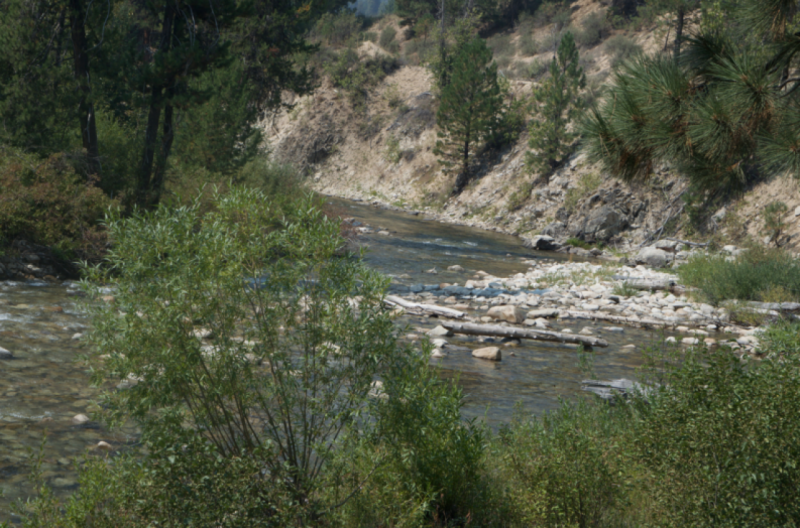 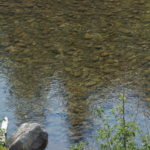 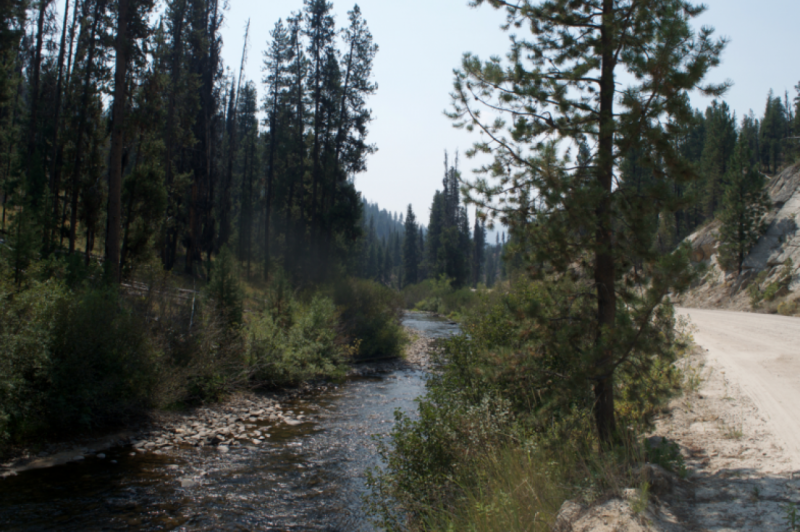 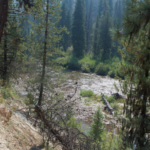 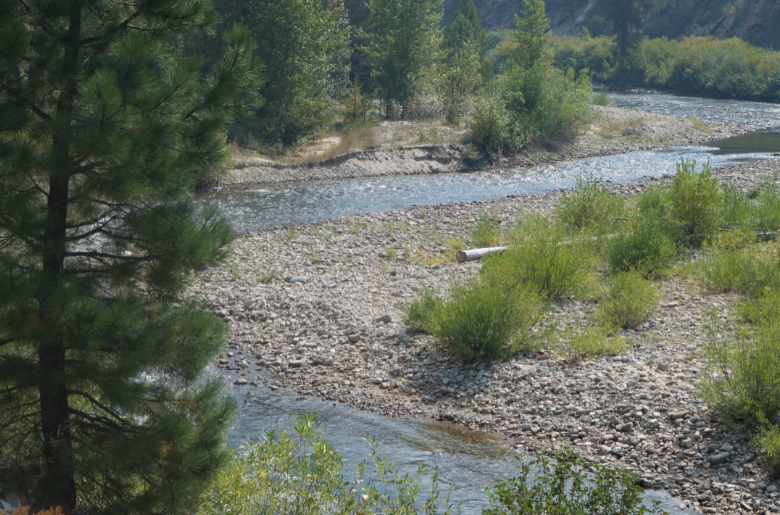 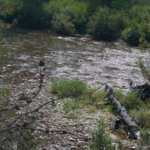 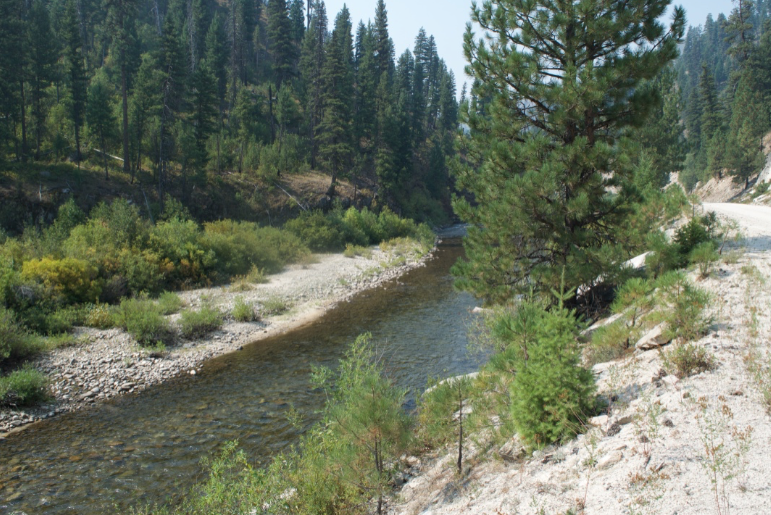 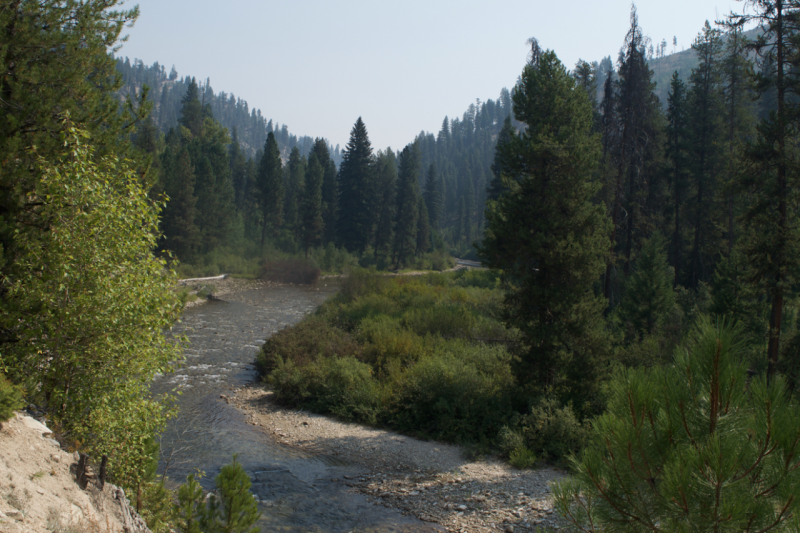 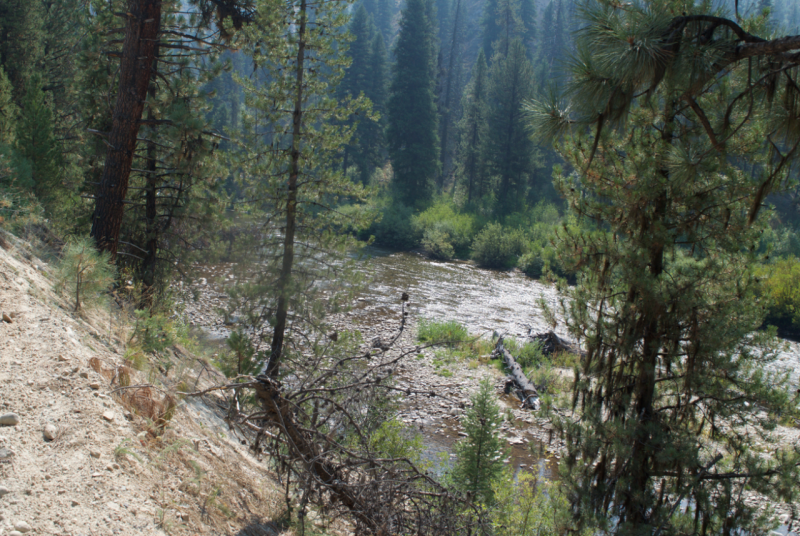 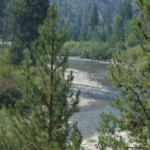 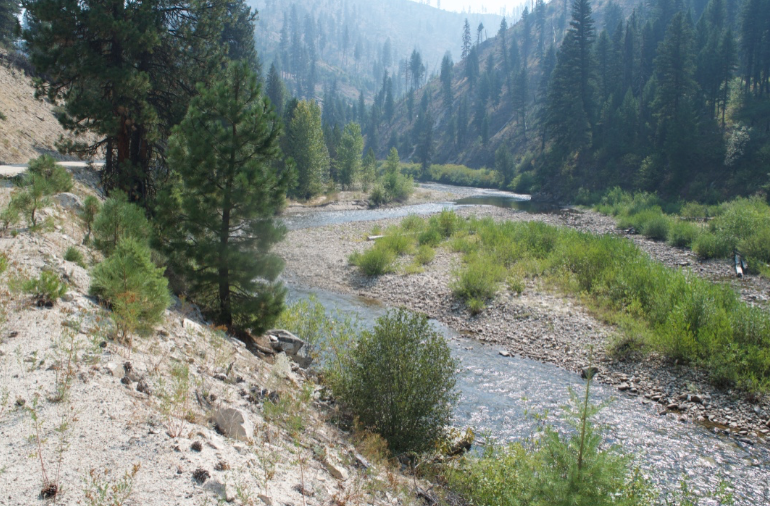 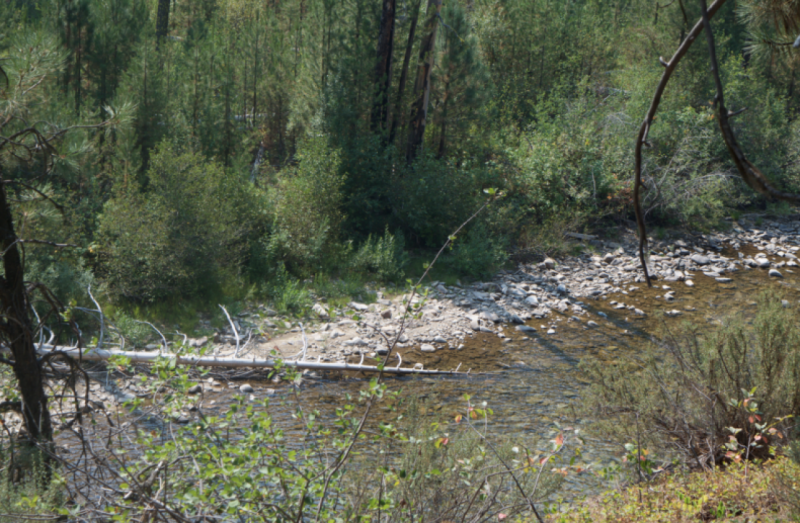 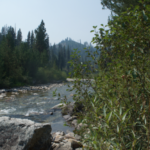 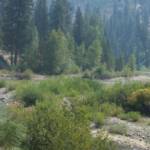 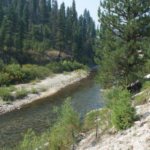 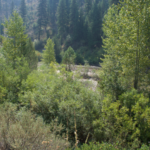 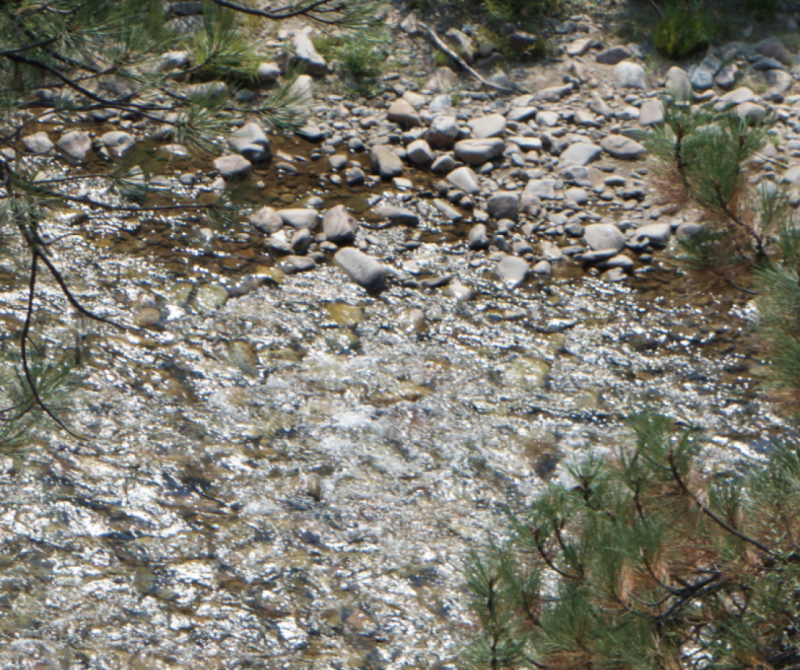 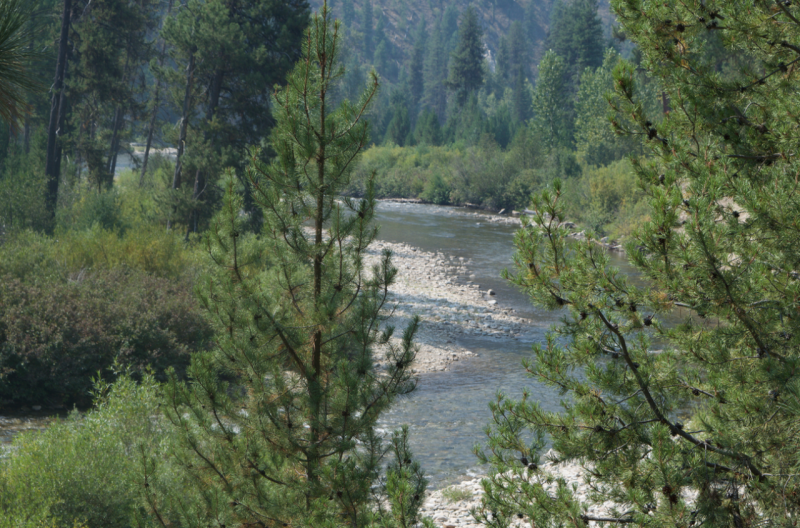 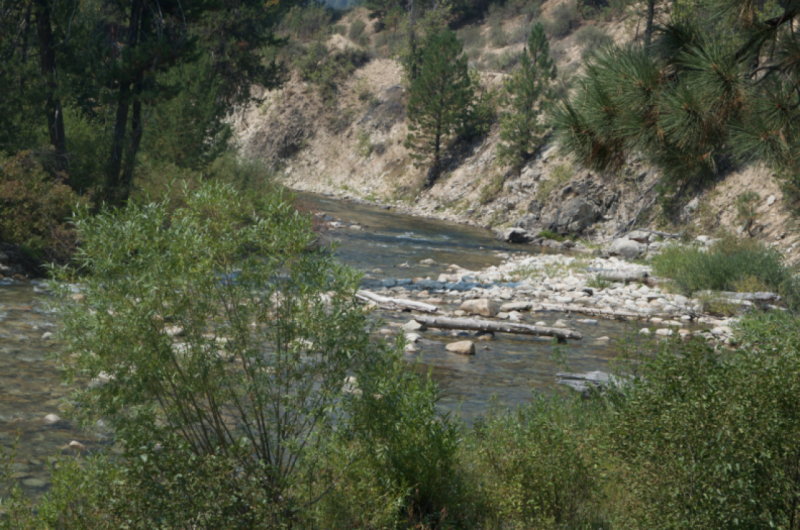 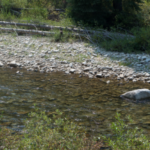 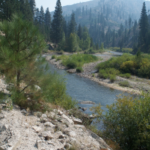 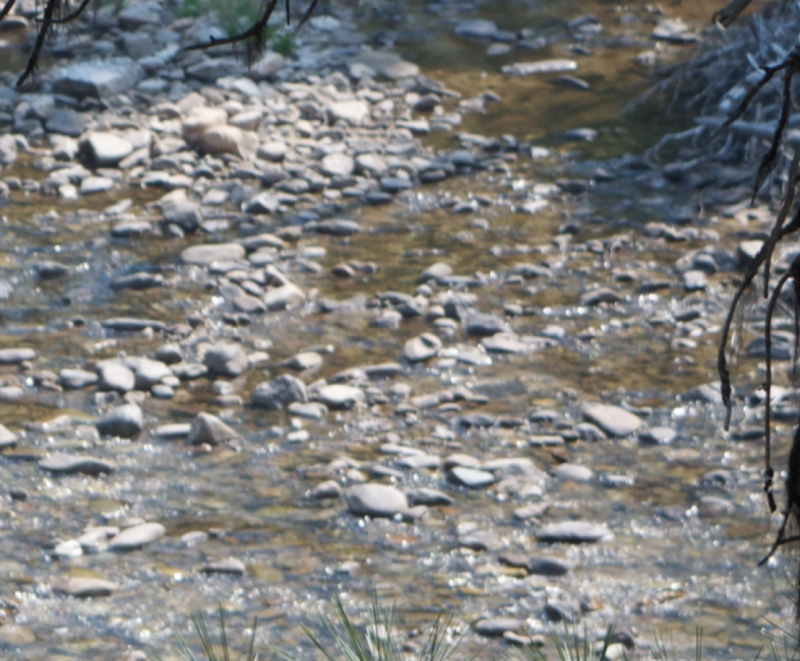 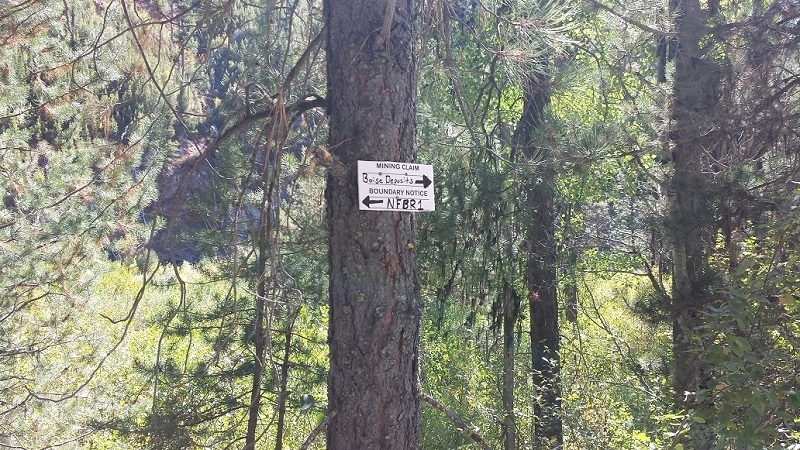 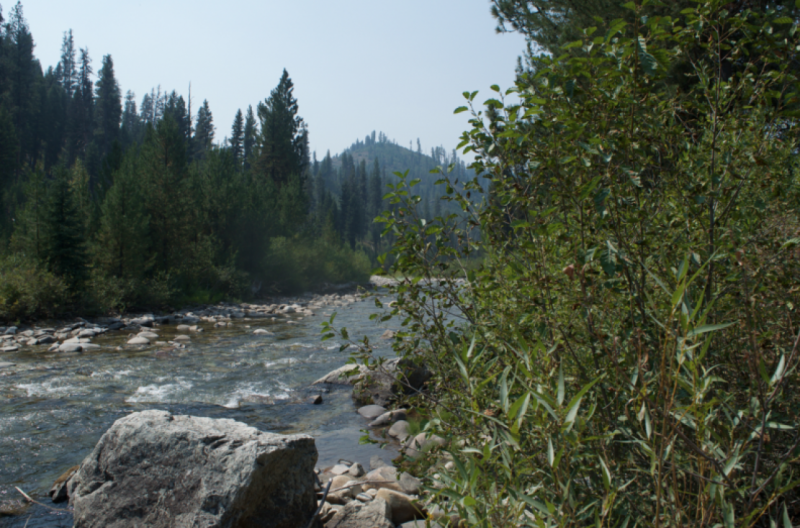 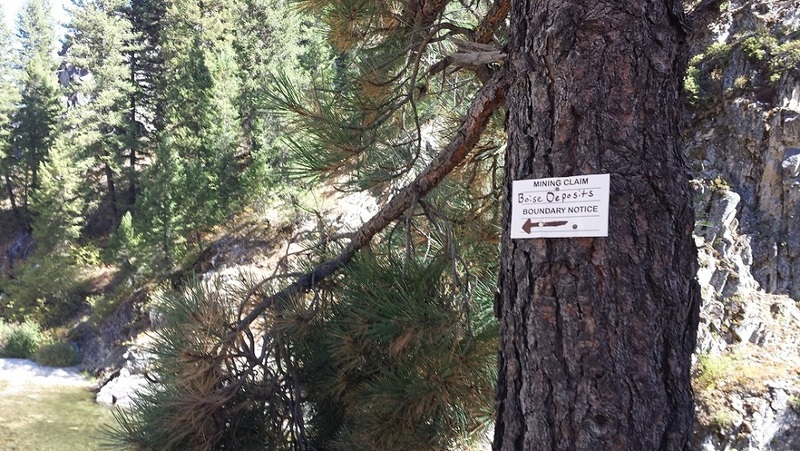 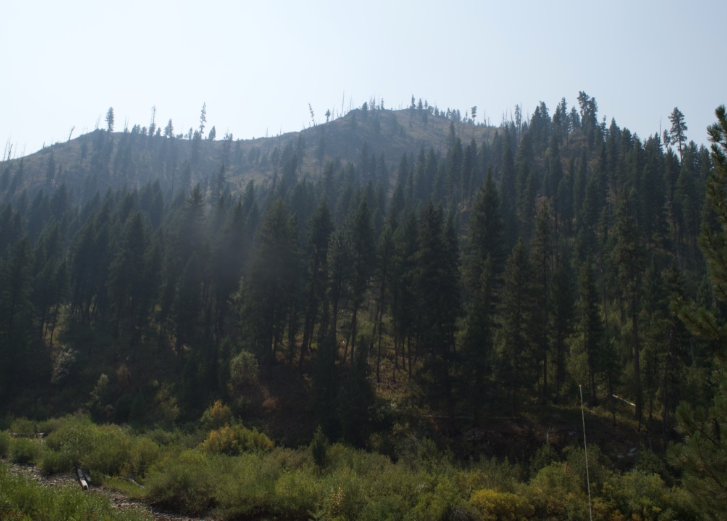 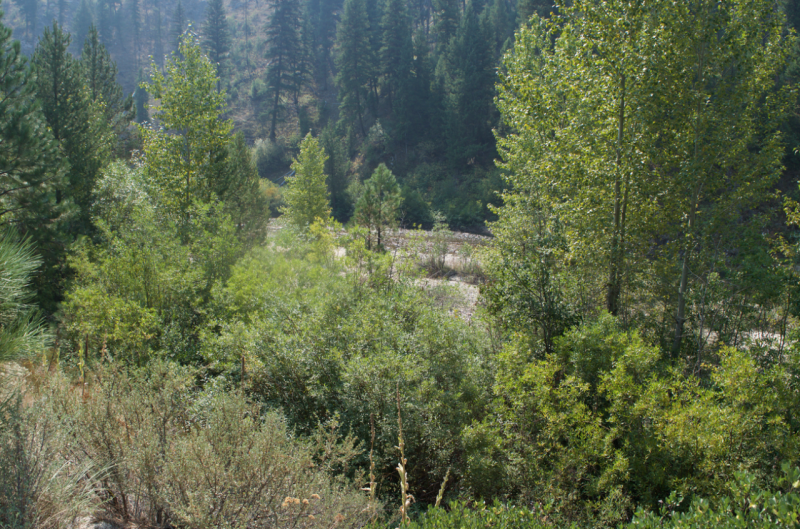 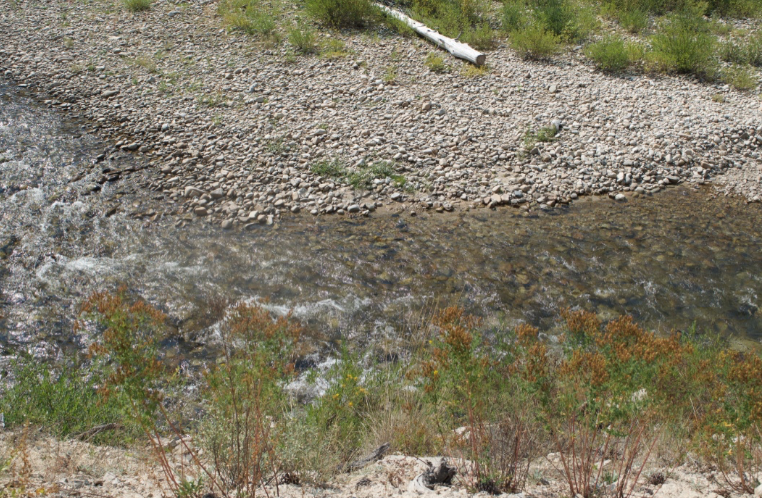 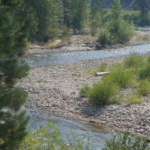 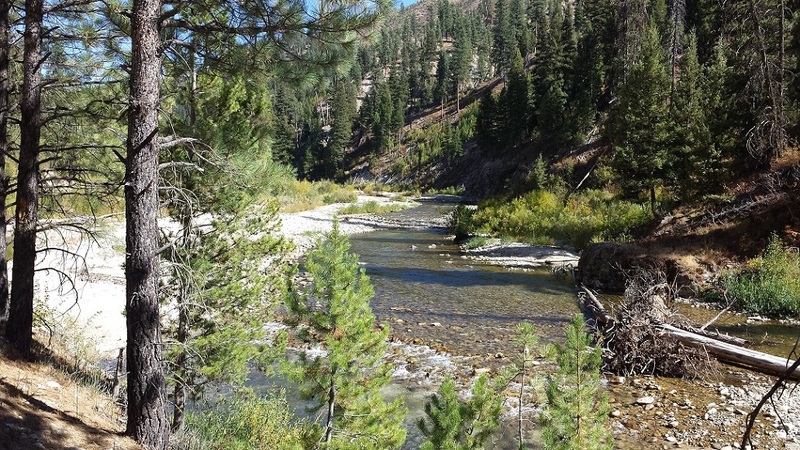 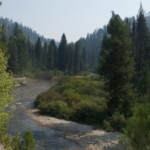 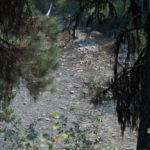 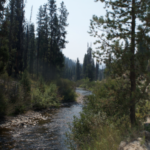 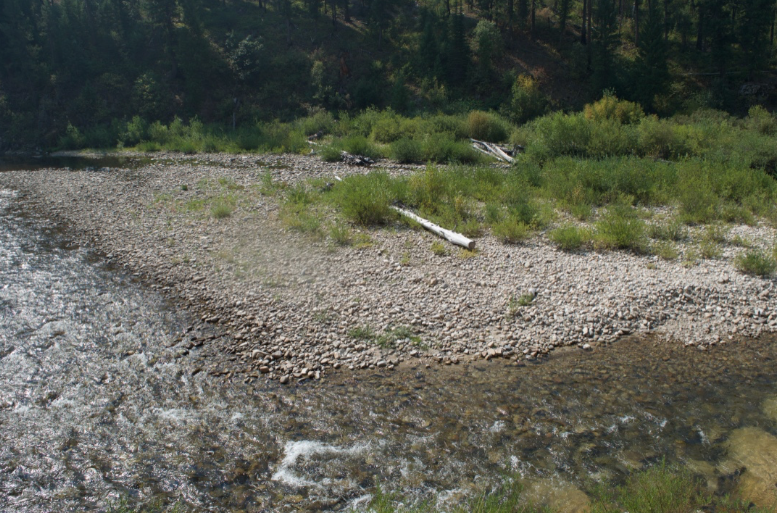 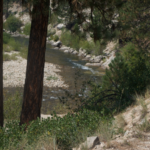 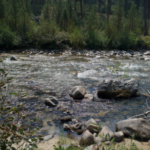 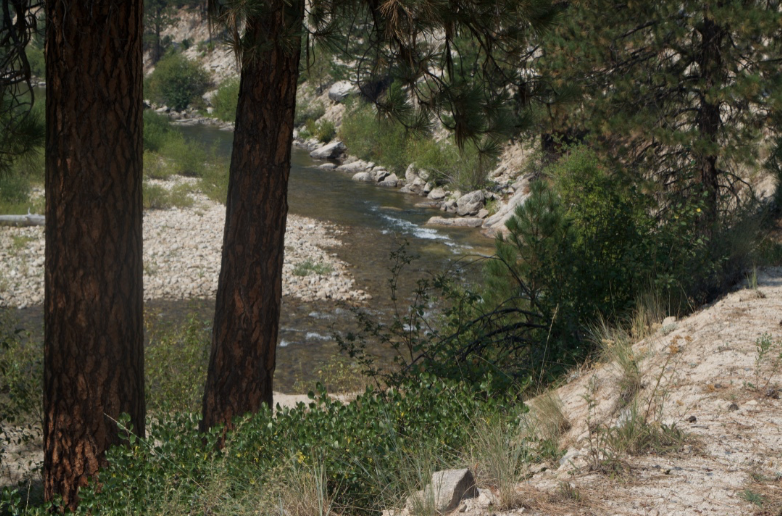 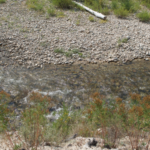 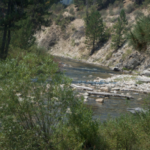 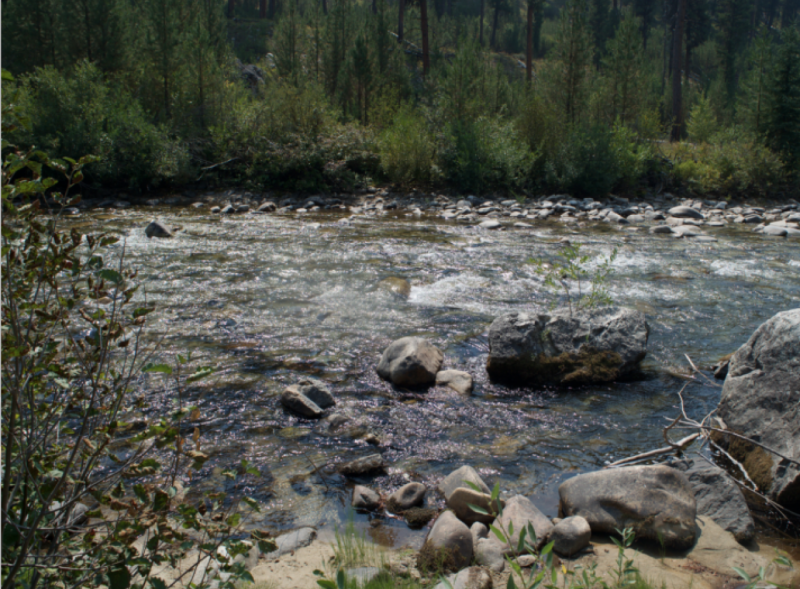 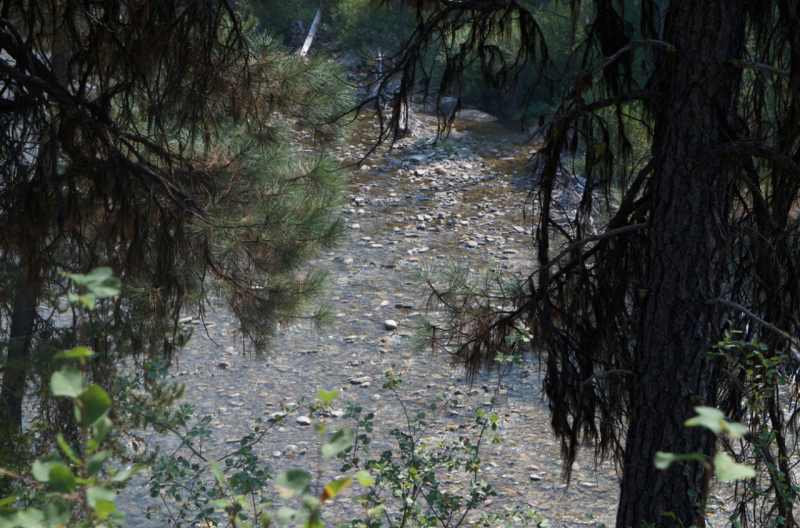 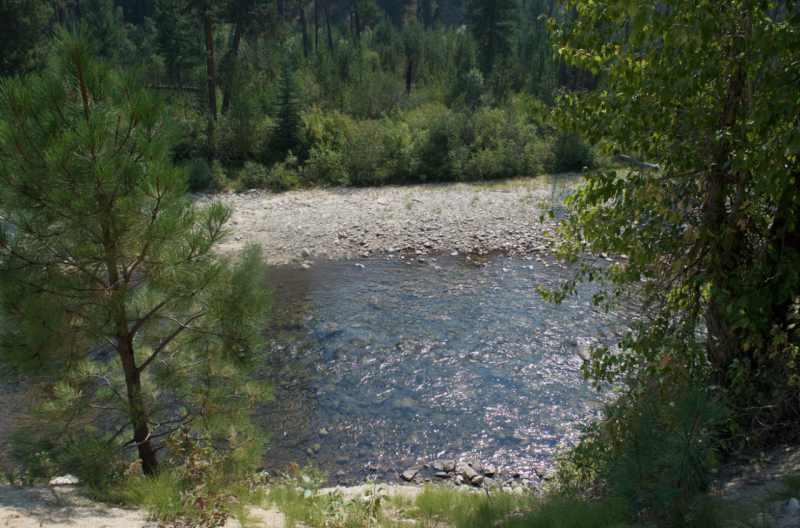 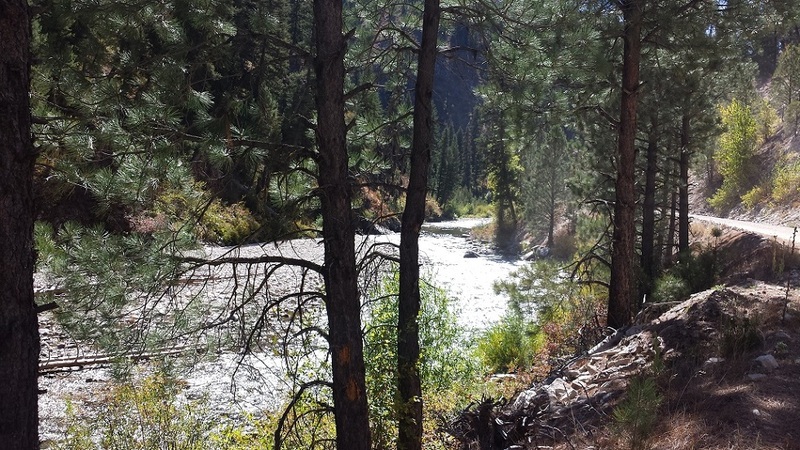 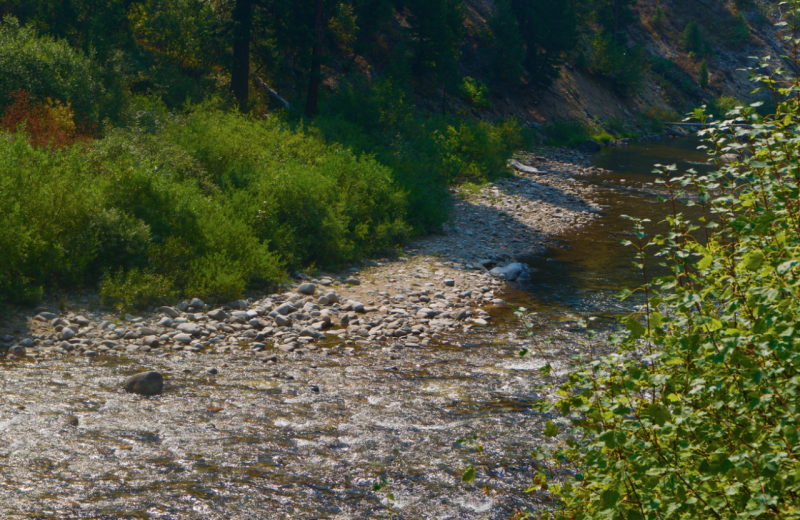 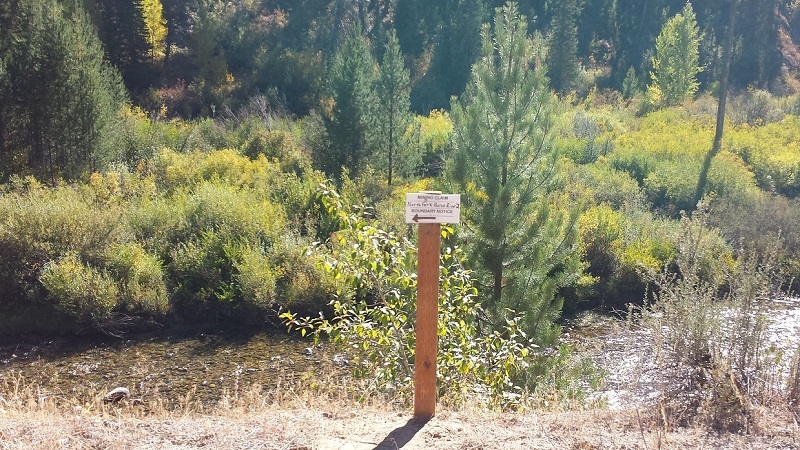 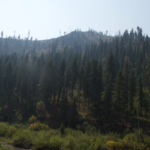 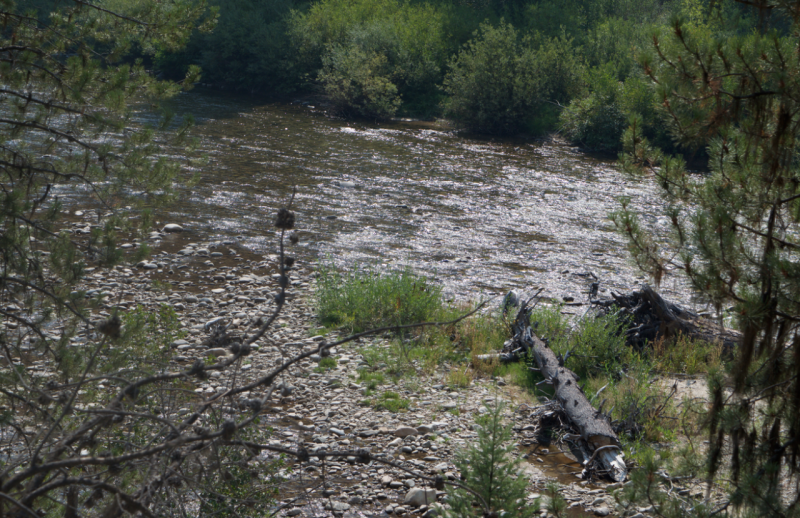 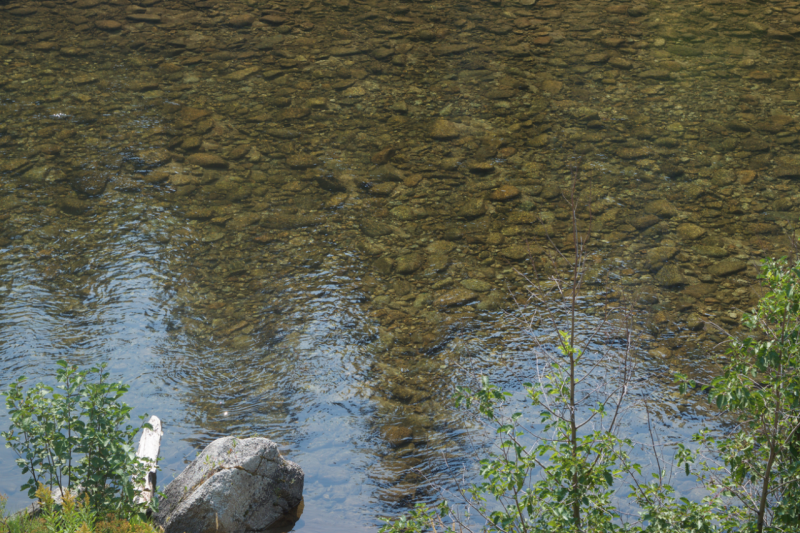 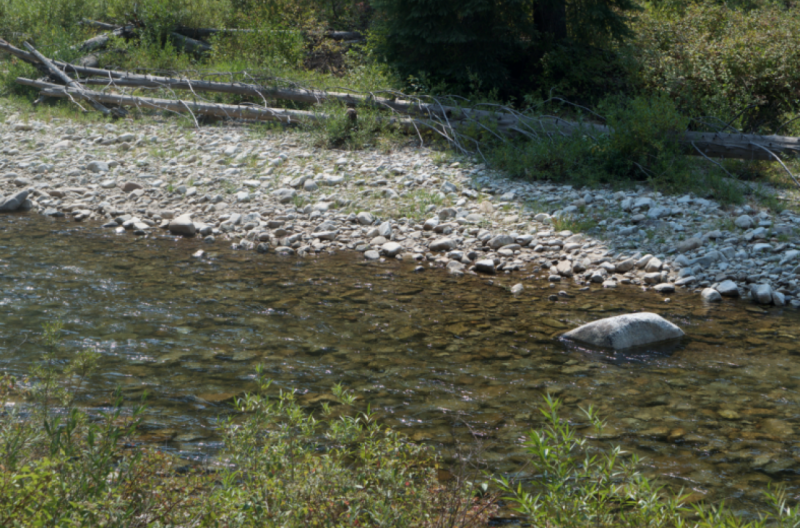 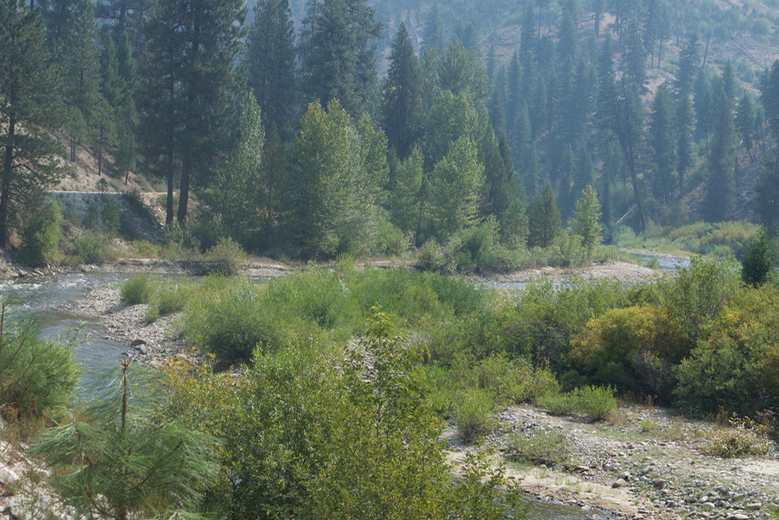 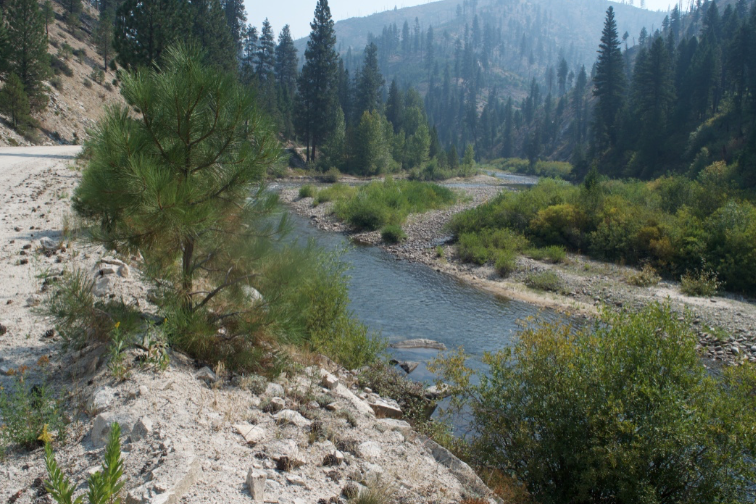 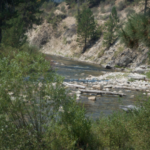 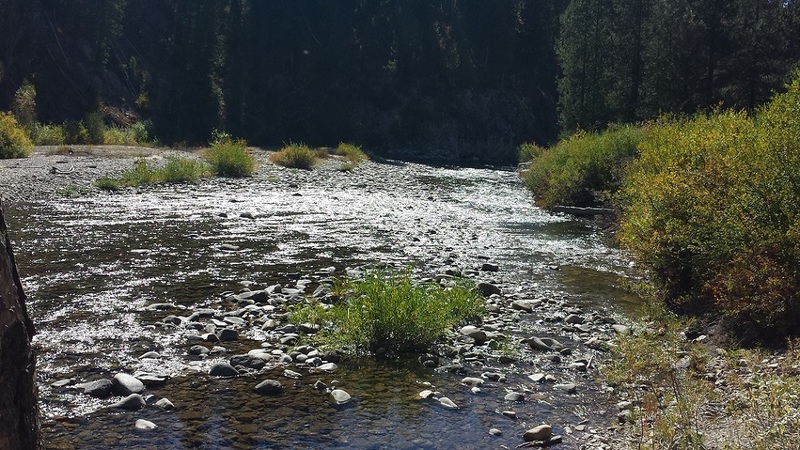 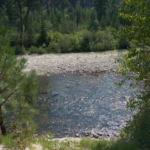 A beautiful Forest Service campground area called “Fourmile” is located right on the “North Fork Boise River #2”. 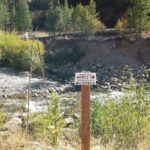 Full services available in Idaho City, about 34 miles from the claim. 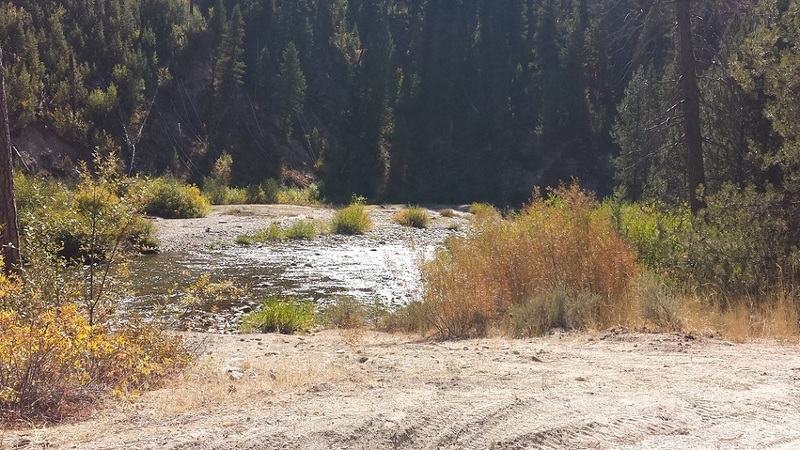 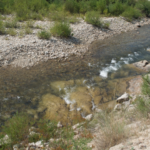 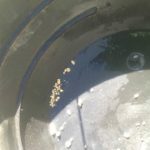 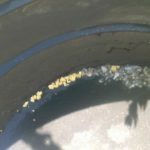 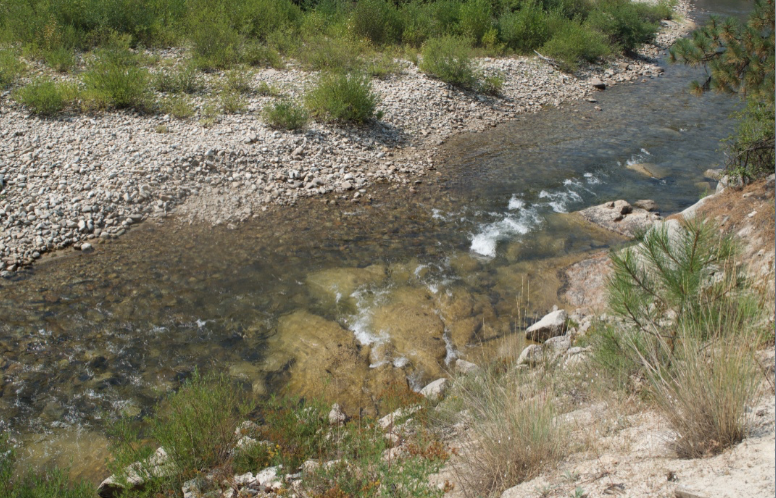 Again excellent access suitable for a car, RV, trailers, with ample year round water across all of the claims. 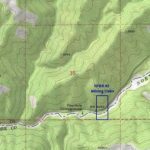 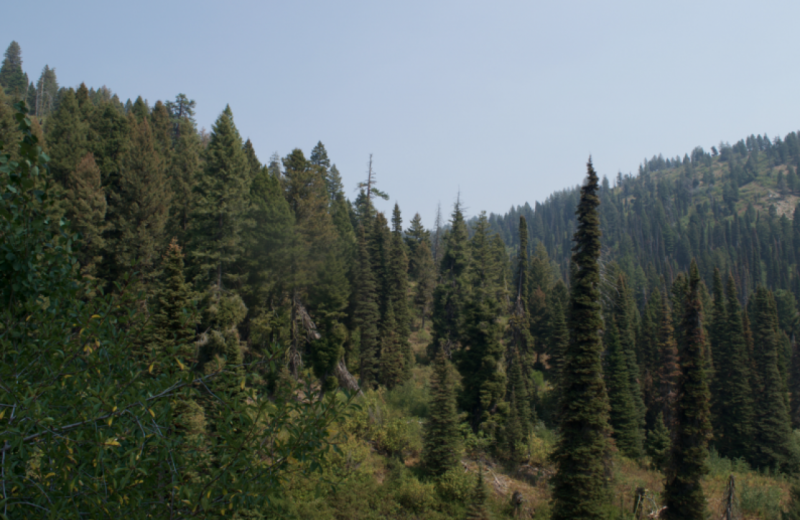 Incredible scenery, lots of trails and ATV roads, and hidden hot springs dotted across this are, for all kinds of recreational enjoyment nearby. Driving Directions: Vehicle access to the claim is via a hard-pack dirt road which you can drive virtually up to the riverside. 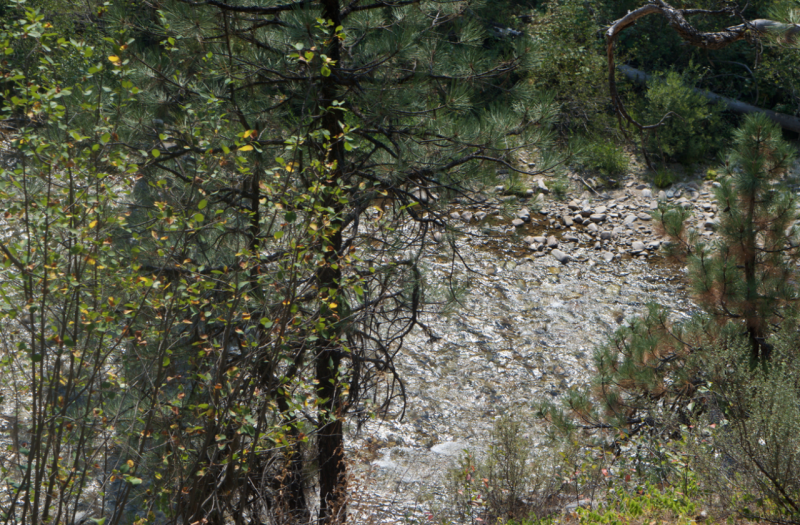 I’ve seen cars access the area as it is a well maintained forest service road. 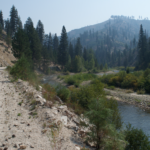 There are at least three main ways to access these claims: First, up HWY 21 past Idaho City (directions below), which seems to be the fastest as it has the least gravel miles. 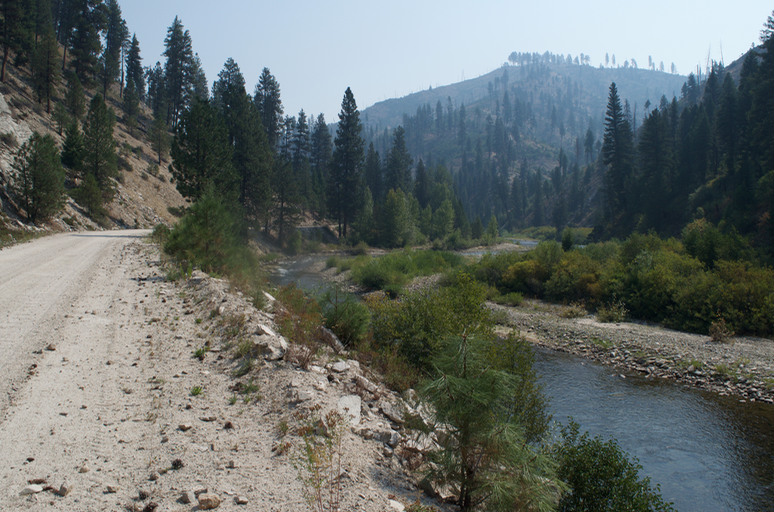 Second, would be to turn onto Granite Creek/Rabbit Creek Road (NF327) about a mile out of Idaho City, again with so much time on gravel it seems to be an hour longer. 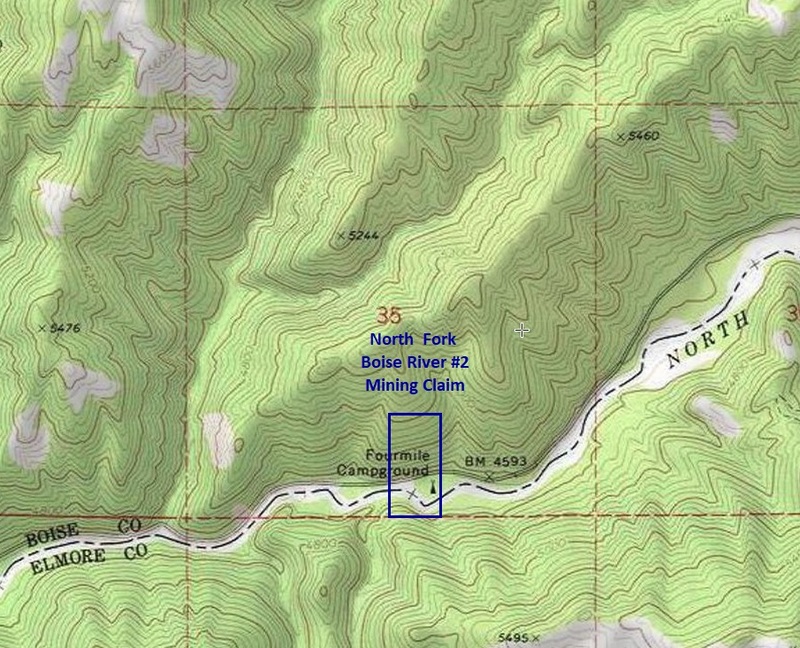 The Third, and most scenic (most miles on gravel), would be to turn on Spring Shores Rd (just past the bridge), right out of Boise to access Lucky Peak and Arrow Rock dam, just before getting to Atlanta, you turn north onto NF327 (yes it does a huge loop). 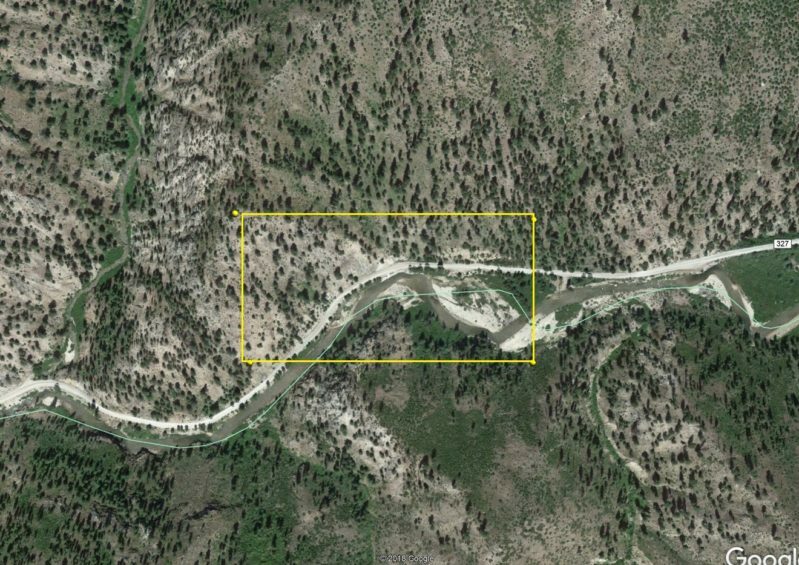 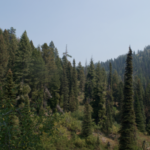 Fastest Driving directions to the claim: from Boise, travel north on HWY 21 to approximately 18 miles past Idaho City to the Jackson Peak Lookout turnout (Edna Creek Campground is at this junction). 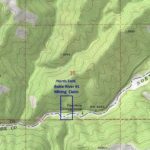 Head east on Crooked River Road (NF 384), you will stay on this road for approximately 13 miles, although there are some major junctions to be aware of; at 2 miles from HWY 21 you will come to the NF362 junction (stay right on main NF384 road), at 3.5 miles from HWY 21 you will be at the Jackson Peak junction (stay right on main NF384 road), at 5.5 miles you will come to the junction at Willow Creek Campground (stay right on main NF384 road), and at 8.5 miles from HWY 21, you will come to Little Owl Creek junction (keep forward on main road to NF Boise River/Atlanta). 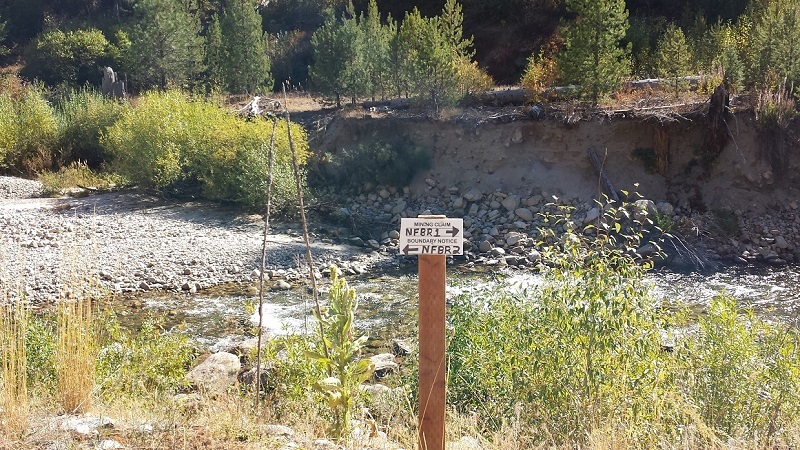 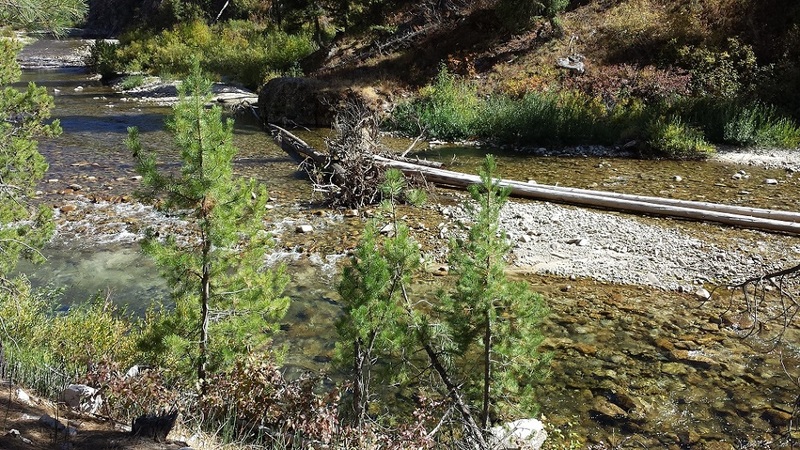 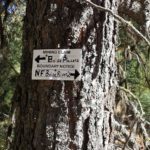 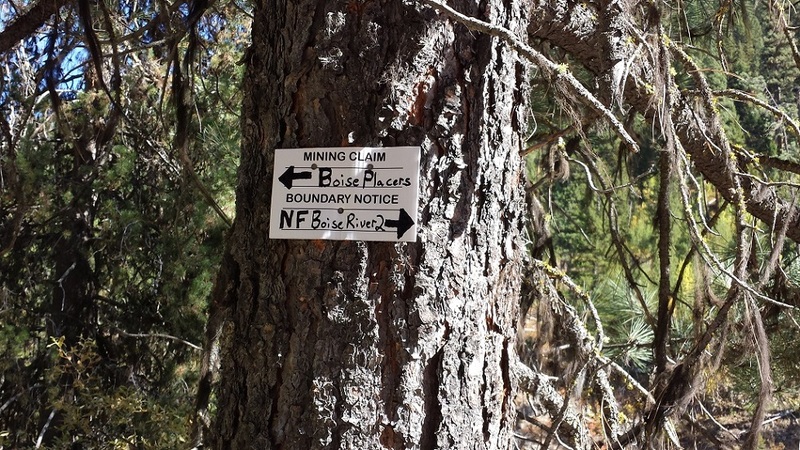 Once you have gone 13 miles on NF384 from HWY 21, you should reach NF327 junction (T intersection) which is at the NF of the Boise River, turn left on NF327, for approximately 1 & 1/2 miles to the start of the claims.